AMU 2019 Application Form extended for M.Tech courses. 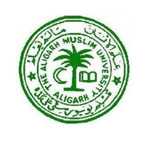 AMU (Aligarh Muslim University) is a central university located in Aligarh. AMU entrance exam is a university level examination which is organized to offer admission in various courses offered by AMU. This university offers admission in various courses like B.Tech, B.Arch, B.Com (Hons. 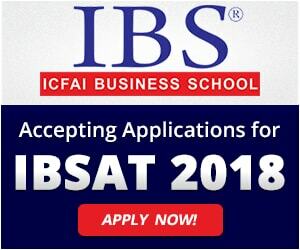 ), B.Sc, MBA, B.Ed, BA. LLB, etc. Students seeking for admission in MBBS/BDS courses offered by AMU have to qualify in the NEET examination. Answer key has been released for various courses. Here we are providing details about AMU 2019 including application form, eligibility, exam pattern, syllabus, etc. AMU 2019 Application form has been extended for M.Tech courses till 30th April 2019.Check here for application form details. AMU 2019 Answer key has been released for various courses.Check here for answer key details. AMU 2019 exam dates has been revised for various courses.Check here for exam dates. Fee payment canbe done through net banking or debit/credit card. The admit card has been released through online mode only. AMU hall ticket 2019 is available B.Sc. (Hons)/B.A. (Hons)/B.Com. (Hons) courses. For other courses it will be released before one or two weeks from the examination date. Question: Can I get the AMU application form 2019 through offline mode? Answer: No, application form will be released via online mode only. Question: When will be the application form get released? Answer: The application form has been released from 1st February 2019. Question: Can I appear for the AMU exam through online mode? Answer: No, exam will be conducted through pen and paper based mode. Question: It is necessary to send the AMU application form 2019 to the university? 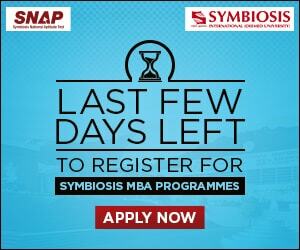 I want to know about M.sc application when it started?? Application of AMU 2019 is not released yet. We will update in the article when it will be released. Sir,for class 11 when the entrance form is available. Admission for MBBS When applicaton form is avaliable? sir, is amu exam for mbbs will be conducted by neet or amu and how? Do amu also offer BPT ? pls tell me ! Is AMU CONDUCT B. Pharma? If conduct then when will be its entrance exam? What is the Minimum required percentage in 12th CBSE board for an Bsc entrance exam 2019 ? Do Amu also offers MA history in its courses ? What is the tentative date for the release of amu online form for pg ? Sir, Is M.com course available at AMU?? Can I study in ma history in any? When will amu release the b.tech admission form for 2019. What is the procedure for BA honours accademic year 2019. What is the procedure for BA honours entrance exam. I don’t find any information about Msc exam why? Can I apply for B.a.hons for graduation in amu 2019? Sir, how shall I downloaded the entrance question papers of sanskrit previous year ….AMU..
Sir I want to know the eligibility criteria for MBBS Course in AMU-19. Is it a requirement to sit for an entrance to take up bsc hons courses or is it merit based? I need to get an admission in 11th standard Non Med. Sir I want to take admission in geography hons.Is this course available so AMU? Sir I want to know how to apply for admission in pg course in AMU- 2019? When the registration will start we will update it in our article. Is there any pg course that i am eligible to study.that i have completed graduation BFSc(NS) Bachelor of Fisheries Nautical Science and Technology?? Sir I want to know how to apply for admission in MSW course in AMU- 2019? You have to fill the application form when it will be released next year. Sir,I want to know the eligibility criteria for MBBS Course in AMU-19. Here the eligibility criteria as well as exam pattern for B.Com(Hons) were not mentioned. Requesting you to please confirm. please help me in list of enclousers attachment with the application . There is no need to send application along with any documents through offline mode.